Due to unforeseen circumstances, there was no Wednesday and Friday posts last week. Posts are back on and look here for a few extra posts this week! Also, I was interviewed by Shiny Book Review last week, and the interview will be coming soon there. They’ve got an awesome site, you should check them out anyway. In other news, edits are continuing with The Fallen Race and Echoes of the High Kings, though, because of those unforeseen circumstances, their release may be delayed somewhat. The next Renegades book, will be coming by the end of the month. Thanks for checking back, and like I said, keep looking here for new posts! As Renegades: The Gentle One will soon be available in Print and is currently available as an ebook, I thought I’d give an excerpt from it. The section below is an excerpt during a section of The Gentle One where the crew attempts to hijack an alien freighter in their attempt to escape the star system. “Yeah, but what does that have to do with the price of tea in China?” Mike asked. “What happens if you do that?” Mike asked. “I don’t think this is such a good idea,” Mike cautioned. Ariadne didn’t answer. She closed her eyes and focused. When she really felt calm, she opened her mind to the world around her. It felt similar to when she used her abilities to navigate, except she could actually see things, and she consciously noticed things. It seemed more difficult, and she could only sense a small area around her. She could sense everything around her, the bloodstains in the seat, the small insect that had made some sort of nest under the console. She could count Mike’s heart beats, which seemed to happen in slow motion. She could vaguely feel movement throughout the rest of the ship, but could feel no details. Slowly, she tried to expand that area of sensation, but it refused stubbornly. Then she tried to move it. It shifted, almost without resistance and she slid it up out of the ship towards the other vessel. Darkness and silence immediately surrounded her. For a moment she panicked as she lost even the sound of her own heartbeat. The world simply vanished into complete darkness of the void. Yet in that moment of panic, she felt something else. She could feel the energy of the void, the slight hum of vacuum’s energy, and beneath the surface of reality itself, she could taste something else. Without the interference of everything else… she could feel the fabric of Shadow Space. Ariadne felt a moment of awe as she touched that boundary with her mind. She had never approached her sense of Shadow Space from this method before. It had always seemed a thing of intuition; something she unconsciously processed. To feel it like she did now, it seemed so much more than the realm of shadows that most considered it. She felt a sudden urge to dive deeper, to open her mind to that barrier and to taste the alien energy of that other universe. Then she remembered her friends. Her desire to help them overrode her curiosity. She slid her consciousness further outward and then she felt the steel of a container at the edge of her senses. As she moved further, she found that her sphere of senses had contracted over the distance. More, she found that the details had faded. Ariadne continued along the container until she reached where she felt the hull of the ship. Her mind sank through the steel, and then through the insulation, conduits, and wiring. They proved no barrier as she sank her mind deeper into the freighter. Finally, she came to what felt like a galley. She could sense a stove top and a meal heater. She also felt several Chxor. She could hear their conversation, and she could sense the edges of their minds, fuzzy with distance, but open and inviting. A moment later, she felt a familiar mind sweep into the room. She sensed Rastar enter, and then the reaction of the Chxor crew. Most went still, their minds frozen by the impossible intruder. One reacted quickly enough, however, to dive to the side. She could hear and feel Rastar fire. The shots seemed muffled, as did the Chxor’s scream of agony. Ariadne sensed the other Chxor freeze, either frightened or aware that they would die if they challenged their attacker. The situation seemed well in hand, so Ariadne sent her mind towards the aft of the ship. She could sense the hum and energy of the ship’s fusion reactor. As she approached it, she could feel the footsteps of two others. Her mind caught up to them, unfettered by the speed at which they ran. Her senses had grown less detailed, but the black shadow that raced down the corridor could only be Anubus. The other seemed to be another Chxor. She could feel both their hearts race as Anubus continued his pursuit. The Chxor heartbeat picked up as he reached a closed hatch. Ariadne could hear his hands as they scrabbled to open the hatch. They rose to a crescendo as Anubus closed the gap. Ariadne felt Anubus’s lunge, and his mind seemed to blaze for a moment as his jaws closed on the back of the Chxor’s neck. Ariadne tore her mind away, terrified that Anubus’s mind would draw her in. She went forward instead. Her awareness seemed to move slower now though, and she felt the details fade even more. Her bubble had contracted still further, she sensed details only a few meters in radius now. Her mind found Eric and Simon as they pushed towards the bridge of the ship. They stopped outside a hatch, and Ariadne pushed her mind through. She sensed only one Chxor, his mind a still thing of order, like some clockwork machine. Simon opened the hatch and Eric swept in, riot gun at the ready. The captain stood still, motionless and calm as Eric and Simon approached. Yet something was wrong. Ariadne could feel it, something about the Chxor captain’s calm put her on edge. Even as she realized that, she felt her awareness start to fade entirely. She could taste the edges of his mind, though, and in a last push of effort, she dove into it. She almost recoiled from what she found there. Inside the layers of angular logic and hard, emotionless decisions, she sensed a creature devoted to hate. The Chxor captain might not even realize it, but he built his life on that hate. A hate devoid of any kind of pity and long buried so deep that he could not know he held it. Hate drove every action in his life, however, a burning hate for those who gave into the emotions that he had long denied himself. A hate that fed on pain and cruelty to whatever other races came within his reach… and on whatever Chxor he found lacked a proper pattern of behavior. Yet as she recoiled, she could sense his thoughts. She could taste his satisfaction, that even in his demise he would manage eliminate his killers. They will have time to see their death and give into emotions such as despair before they die, the pathetic lesser creatures they are, he thought. His hand darted for the switch on the console. The switch which would initiate the program he had activated when he heard the first gunshot. The switch that would drop the radiation containment on the reactor and flood the ship with lethal radiation. It was the logical solution to the pirates who threatened him and the ship. 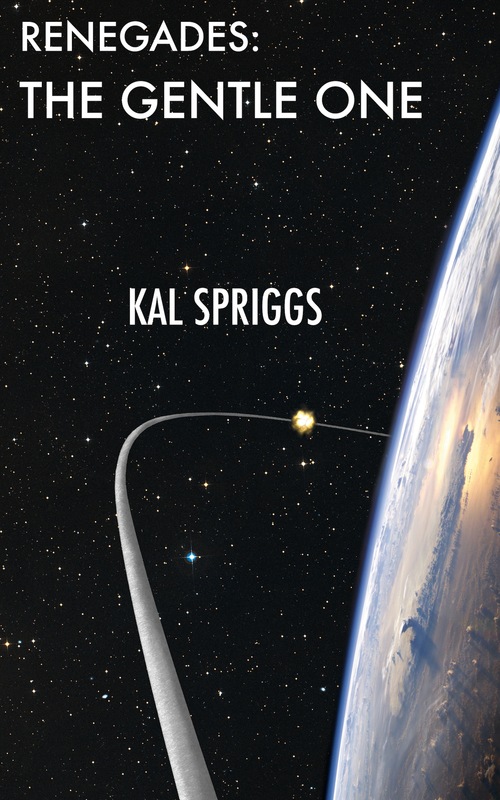 The ship would continue to its rendezvous in orbit over Logan Two, the pirates would die from the radiation surge, and the majority of cargo would remain intact, along with the ship after a cleaning procedure. “No!” Ariadne shouted. Her mind wrestled with that of the captain and for a moment, just a second, she had the strength, even over the distance, to hold his hand still. In that moment, she shared his consciousness. She sensed him recoil from the emotions he felt from her, even as a part of him railed at what his society had denied him. She also saw through his eyes as Eric brought up his weapon. She and the Captain both stared down the barrel of the riot gun. “Eric, wait-” she spoke with the Chxor captain’s voice. Ariadne threw her mind away from the Chxor. She had become too deeply meshed with his mind though. She felt his mind vanish and the chaos of destruction nearly pulled her with it. Her thoughts shattered and she felt herself scream as thousands of metal darts screamed through the brain that she shared. Then her world disappeared into blessed, painless darkness. Space Warfare: I Have the Power! I’m continuing my blog post last week Friday and discussing space warfare technology. More specificially, I’ll address what I see as one of the big issues: power generation and density. The big issue with any kinds of space technology is the power source and power density. If three quarters of the vessel is taken up by power generation to get a mediocre total, then all the other systems need to be more efficient (less cool stuff) in balance. Contraversely, if you can power the entire craft with something the size of a deck of cards that yields terawatts of power, you can afford to put more of other stuff and use systems that are less efficient. Power generation is one of the primary difficulties in current space travel. All current systems utilize chemical-based propulsion (rockets) and have solar panels to assist in power generation. The problem with solar panels is that their relative energy production efficiency is limited, typically they only generate at around ten percent. What this means is that ten percent of the energy that hits the panels is generated into electricity. As far as space combat is concerned, solar panels are also extremely fragile, and increase the target profile (the size of the craft as a target, which makes it easier to hit). As an alternative, a number of early probes and devices such as Voyager used radioisotope thermoelectric generators (RTGs), which is a fancy way to say they have very radioactive material which produce heat and then convert that into electricity. This is a simple form of nuclear power generation. These types of generation were used only to produce electricity. Other forms of nuclear power, both for propulsion and for electricity generation have been theorized. Nuclear fission is the primary method, which is the most well-explored nuclear technology. 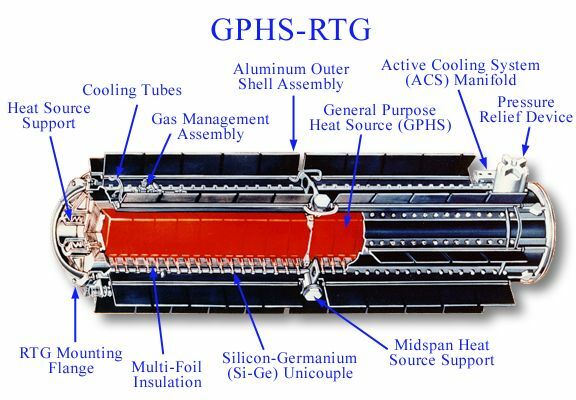 Pebble bed reactors, already more compact than a standard fission reactor, could be used to provide both power and propulsion. As a source of energy, nuclear power is much more compact than standard methods of power generation. Still, the current societal fears of radiation and ‘evil’ fission will likely make widespread use of nuclear power an uphill battle. Other forms of power generation and storage have been theorized in science fiction as well as actual scientific articles. Fusion, often seen as the next step of nuclear power, is an often seen trope of military science fiction. The current hurdle is that a controllable, sustainable fusion reaction seems just out of our reach. In theory, it would only require hydrogen as fuel to produce power. The issue is that making such a power system compact enough to use. This is likely to keep fusion power just out of reach. Antimatter power generation is often misconstrued. Antimatter, when combined with normal matter, annihilates one another. The issue, is that antimatter doesn’t occur naturally in our area (luckily for us, because if it did, we’d have a big explosion). So we have to generate it with something like the CERN collider. This, in effect, turns antimatter power into a high capacity battery, and not necessarily a high efficiency one. Containment of antimatter requires powerful electromagnetic fields, and any slip up would allow the antimatter to contact normal matter, and then you lose the battery and possibly the space craft. Other, even more esoteric power sources include singularities and dark matter, both of which are well beyond our current technology levels. So why does all this matter? Well, as far as spacecraft design and warfare, power design is essential. A compact system allows more of the spacecraft’s volume and mass to be dedicated to other systems. More power allows more complicated systems and higher energy usage for those systems. Where this comes into play especially is in weapons, but also in sensors, communications, defenses, propulsion and support systems. A high energy weapon system such as a directed energy weapon (such as a laser) requires a lot of power, as would a rail gun or some other linear accelerator. The pay off for weapons like these are their destructive capabilities. Lower yield weapons require less power, but deal less damage. Rockets, missiles and the like have internal power and so the craft pays for them directly in additional mass and volume. The destructive capabilities of the spacecraft are hinged upon its ability to generate power and project it. The other systems are integrated into this as well. A ship which dedicates all of its capabilities to offensive weapons may have to sacrifice other systems as a consequence. Energy requirements to sensors and communications are not entirely trivial, and they are essential for combat. Propulsion systems may utilize the ship’s power source or have their own internal power, but will likely use as much power or more as weapons systems, and a ship which cannot maneuver is an easy target. Defensive systems, which could range from jamming systems to smaller weapons designed to intercept enemy fire to the futuristic defense screens or shields will also be essential to combat and to the preservation of a vessel. Other systems are not as crucial. A warship may need to cut back on non-essential systems prior to combat, such as life support systems, internal lighting, and temperature control much like wooden hulled ships ‘cleared the decks’ of non-essential furniture and equipment prior to a battle. In the near future, we are likely to see no drastic in power generation. Solar panels allow satellites to function with relative efficiency. If space combat does develop, solar panels will probably shift to use only on civilian or ‘neutral’ craft or installations. Nuclear power will most likely see use in near future space combat, both the RTGs and possibly pebble bed reactors. This will allow higher energy production and more powerful weapons (not counting those weapons such as missiles or rockets, which are internally sourced). More powerful weapons will likely require better defenses; either in the form of concealment (hiding) or hardening (make it tougher). And like that, the space arms race begins. Thanks for reading. Next week Friday I’ll discuss space weaponry and where I foresee the issues and difficulties, as well as some of the benefits. Renegades: The Gentle One now available on Amazon! My new Novella, Renegades: The Gentle One is now available from Amazon and coming soon to Smashwords (and then to various other outlets). Renegades: The Gentle One is a 35,000 word novella and is the sequel to Renegades: Deserter’s Redemption and the continuation of the Renegades serial. Read below for the description. Get it here from Smashwords, and coming soon to other outlets. Fantasy as a genre has its origins in the myths and legends of ancient times. These myths are often seen as primitive man’s attempts to explain the unexplainable. Yet in modern times, we have explainations for almost everything… so why the interest in such things? Personally, I think it is some attempt by us to recreate some of the mystery. Some people turn to tabloids and conspiracy theories to spin wild tales… and the more mentally stable of us look to spin wild stories in other worlds. But… I digress. For this entry, I’ll go into a brief history of the genre of fantasy, talk a bit about some of the current trends of Epic Fantasy I’ve seen as a reader and a writer, and then write a bit about where I see the genre is headed. I’ll also recommend some authors whose works I think are worthy of checking out. The first ‘real’ fantasy authors included Rudyard Kipling and Edgar Rice Burroughs who pioneered the field. Tolkien and Robert E Howard’s many stories broadened it and yet opened it out into two very different areas. Tolkien’s works gained more wide-stream attention, for a number of reasons, but Robert Howard’s various works still maintain a substantial following. Other authors like C.S. Lewis and Lloyd Alexander also had their parts. These earlier authors often featured themes of good versus evil and heroes whose journeys and quests caused profound changes upon their worlds. The overall themes and concepts tended to be heroes doing good things (or in the case of Conan, living by a barbarian code) as well as the tendency to reject technology and industrialism. This was the general theme for the more popular and lasting epic and high fantasy for a while. This changed somewhat with authors like Terry Brooks and David Eddings, who wrote less idealized stories, and more morally ambiguous characters. Terry Goodkind, George RR Martin, Harry Turtledove and Robert Jordan led the way in the 1990’s with a host of epic fantasy series. Fantasy became mainstream almost overnight, and the current round of epic fantasy began. These authors virtually cast the mold for the ‘ideal’ Epic Fantasy series, with overnight blockbusters that continue to sell twenty plus years later. That leads us into the current setting for Epic Fantasy, with my topic being about the current trends. The changes brought on by the surge in readership in the 1990’s is still seen. Authors like George RR Martin continue to sell books in the millions, have TV shows or movies, and have a massive fan base. Their writing often includes morally ambiguous characters, convoluted plots, and severe, often drastic consequences for the characters as a consequence of their actions. The pioneers of these types of books are often extremely proficient at both storytelling and manipulation of the reader’s emotions. A disturbing trend, as I see it, is flood of books and authors who are not up to those standards. The Epic Fantasy surge has led to dozens of series that come across as formulaic or rote. There are a wide variety that follows the Campbellian Monomyth to the letter. They have the main character on the Hero’s Journey. They have the love interest. They have the morally ambiguous companion/guide. They have the mentor. These stories check off all of the boxes, but they lack the passion and creativity of their predecessors. Some authors have tried to replace that passion with grittiness or realism. They often use anti-heroes or simply use lesser villains as the heroes (which can work, if done well) who turn the theme still darker and more ponderous. In the rush to make money, fantasy has become exactly what we seek to avoid in real life: boring. Other writers have sought to do something new or bold by changing the rules: fantasy worlds without magic or magic systems that work in some new or innovative way. Yet I think in the roots, Fantasy started as escapism, a rejection of the world, if only for a short time, and a means to explore the imagination. The trend of books that I’ve seen are book after book churned out by the big publishing houses, each looking for that next Robert Jordan or George RR Martin. To me, at least as a reader, that gets old. Fantasy, by its nature, is something that thrives on new and interesting, which is one reason we’ve seen the shift to urban fantasy around the turn of the century and more recently the expansion of steampunk. Epic Fantasy has become too dark and too boring to be the inspiration to imagination it once was. So what do I see in the future of epic fantasy? As a genre, I think it hasn’t changed enough in recent times. I think that new authors and new ideas will soon force it to change. Evolution is a natural thing and something that will help that evolution along is the self-publishing market. The variety of books that have become available means that new ideas and new blood is bound to shake things up. Traditional publishing has stuck to what worked (which makes sense, they’re in the business of making money), but individuals, if they want to stand out, can’t afford to do that. As a whole, I think we’ll see a lot of new ideas and concepts and hopefully some big changes overall in the market.